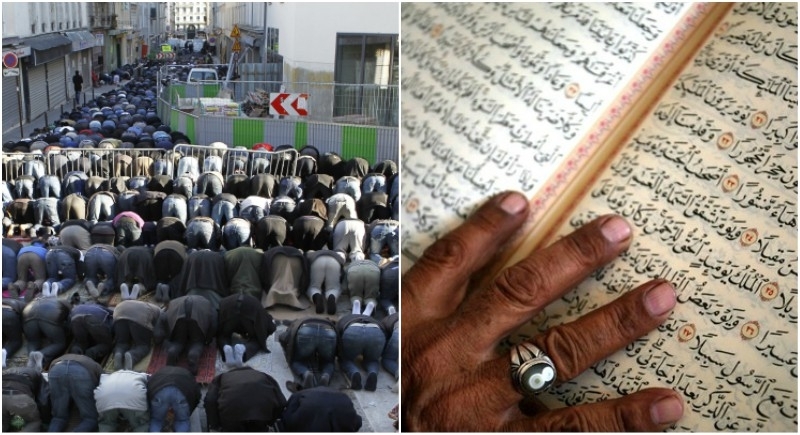 Paris, May 7: France has again raised its voice against Islam and its Quran by opining to eliminate the verses from that incites violence and legitimizes the killings of Jews, Christians, and nonbelievers in particular. A manifesto published in the French daily Le Parisien on April 21 it was signed by some 300 prominent intellectuals and politicians, including former President Nicolas Sarkozy and former Prime Minister Manuel Valls which made a shocking demand. The reason for this elimination proposed is that certain verses from Qurans as anti-Semitic, claiming it is a threat to the thousands of population of Jew settled in France. The manifesto gave an example of a 67-year old Sarah Halimi; she was beaten to death and thrown out from her window a month before her attacker allegedly yelled ‘Allahu Akbar’ while committing the act. Recently France had passed migration bill which criminalizes illegal border crossings and speeds up procedures to deport economic migrants. This presented bill is said to be ‘very balanced’ and “aligned with European procedures”. The bill intendeds to save the ‘National Cohesion’ say the President. And also he wants to reorganize Islam in France to better integrate adoration and fight fundamentalism. The increasing migration in the country is the topic of concern as it will not only increase the population but also its dominance in the future will increase with the helping hands of these so-called human organizations.